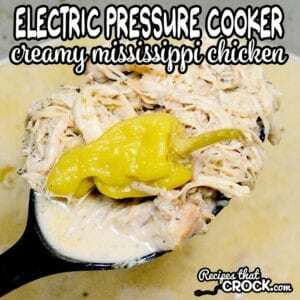 Creamy Mississippi Chicken (Electric Pressure Cooker) - Recipes That Crock! 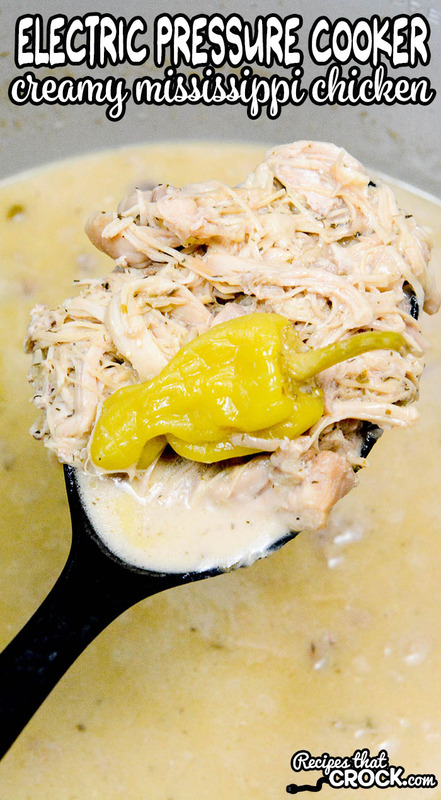 This Creamy Mississippi Chicken recipe is the electric pressure cooker version of our popular Crock Pot Creamy Mississippi Chicken. Take chicken from frozen to fall apart tender in a matter of minutes! 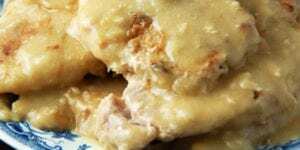 This creamy tangy chicken is perfect for sandwiches, over pasta or served over veggies low carb style. 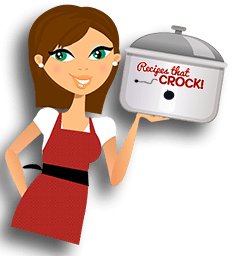 This recipe is easy to make in your 6-8 quart electric pressure cookers including Instant Pot, Ninja Foodi and Crock Pot Express. 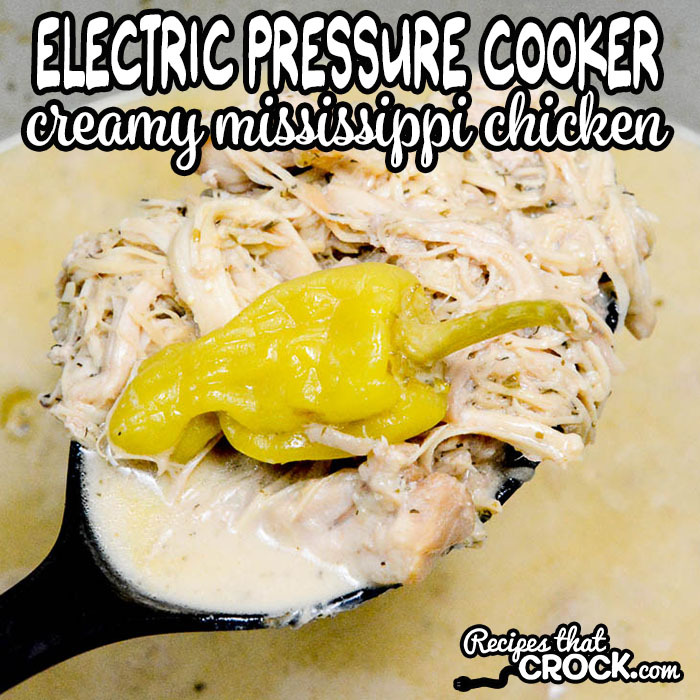 When we were looking through recipes to make for our “Foodi Friday” segment over on our YouTube channel, we could not believe that we did not already have Electric Pressure Cooker Creamy Mississippi Chicken on the website! We make it ALL the time. This recipe is a regular on our weeknight menus AND we also make it often for special occasions. 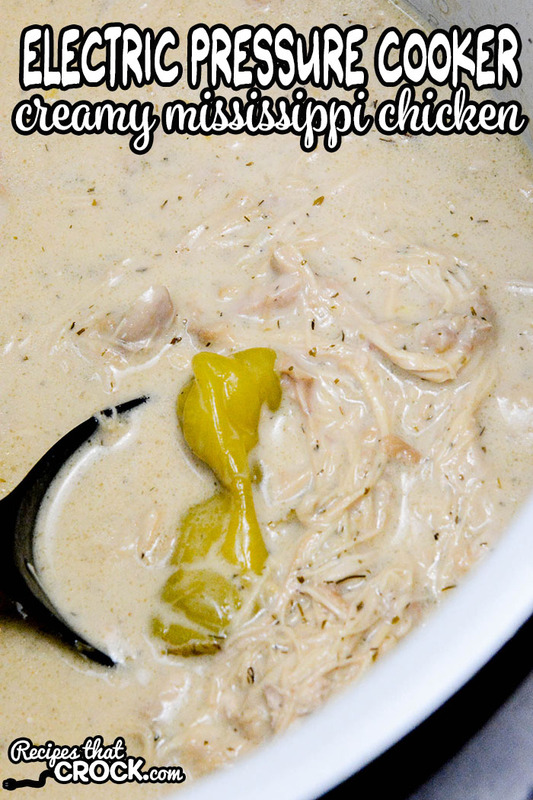 We adapted our Crock Pot Creamy Mississippi Chicken (which was adapted from our regular Crock Pot Mississippi Chicken) . 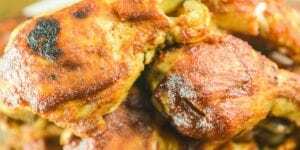 While not everyone is comfortable using pre-made packets in their low carb diet, we enjoy Mississippi Chicken as an easy low carb dinner from time to time by substituting the traditional ranch packet for a dill ranch packet or chive and onion packet. Both reduce the carb counts for the entire recipe by 16 carbs. Additionally we make sure to use AuJus Gravy packets instead of higher carb gravy packets– this typically makes the carb count at least 1/4 of what it would be. If using an 8 quart Electric Pressure Cooker, add an extra 1/2 cup of broth. Place chicken, mixes, pepperoncinis, juice and broth in your 6 quart electric pressure cooker (see notes for 8 quart). 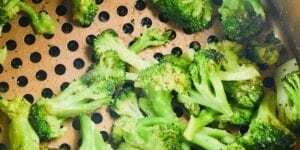 Place under high pressure for 12 minutes and naturally release for 15. 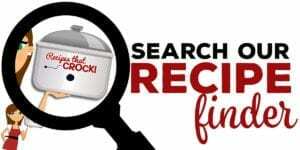 Turn to quick release to reduce any further pressure and carefully remove chicken from pot to shred with forks or in a mixer. Stir in cream cheese until it melts and return shredded chicken to the pot. Serve as sandwiches or as a main with a side of vegetables, pasta or rice. 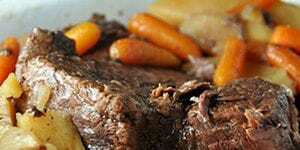 All electric pressure cookers cook differently, so cooking times are always a basic guideline. Recipes should always be tested first in your own electric pressure cooker and time adjusted as needed. 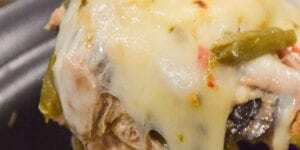 We love to serve this dish as sandwiches or wraps and as a main dish. We have served it over pasta, rice and broccoli. We enjoy it with a side of green beans as a part of our low carb diet. Here are some crock pot side dishes you might enjoy with this recipe.